7th Rangers: The Pakatan Harapan government has proposed veteran lawyer Tommy Thomas as its sole choice for the post of attorney-general. 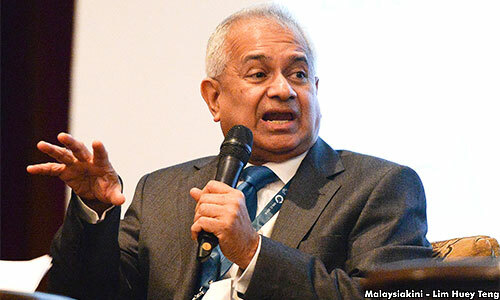 The Pakatan Harapan government has proposed veteran lawyer Tommy Thomas as its sole choice for the post of attorney-general. There are 342 Comments as of this moment here, the most I have ever seen : Malaysiakini : Sources close to the government told Malaysiakini that Thomas was a unanimous pick, and his name was submitted to the Yang di-Pertuan Agong about a week ago. However, the choice of a non-Muslim as attorney-general has reportedly prompted the Conference of Rulers to hit the pause button and push for a Muslim candidate. Asked whether there were any backup candidates, a source replied in the negative. "No other names other than Thomas. Only one name was proposed to the Conference of Rulers. "Do give some time for the Conference of Rulers to deliberate with the proposal. Trust the process. We respect the wisdom of conference," the source said. A barrister of more than 40 years, Thomas has appeared in landmark cases in various branches of the law in all the courts of Malaysia, including the Privy Council in London, which was Malaysia’s highest court until 1985. He is widely regarded as one of Malaysia’s leading litigation lawyers both at home and abroad, according to his website profile. The veteran lawyer would be replacing attorney-general Mohamed Apandi Ali, who is currently on forced leave. The attorney-general's duties are currently being performed by the solicitor-general. Bukit Gelugor MP Ramkarpal Singh has said that Apandi should be sacked for refusing to resign. With regards to selecting a new attorney-general, Bersatu supreme council member A Kadir Jasin said in his blog yesterday that the Agong should respect Article 40 of the Federal Constitution, which says the King should act on the government's advice.